DaVinci Resolve features a completely redesigned user interface that's designed to be extremely fast to use and to eliminate unnecessary clicks and settings. Revolutionary tools for editing, visual effects, motion graphics, colour correction and audio post production, all in a single application. DaVinci Resolve 16 is the world’s only solution that combines professional 8K editing, colour correction, visual effects and audio post production all in one software tool. You can instantly move between editing, colour, effects, and audio with a single click. 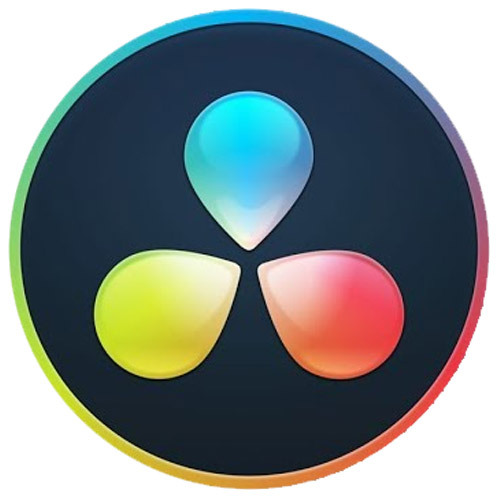 DaVinci Resolve Studio is also the only solution designed for multi user collaboration so editors, assistants, colourists, VFX artists and sound designers can all work live on the same project at the same time. Whether you’re an individual artist, or part of a large collaborative team, it’s easy to see why DaVinci Resolve is the standard for high end post production and finishing on more Hollywood feature films, television shows and commercials than any other software. DaVinci Resolve 16 features a revolutionary new cut page specifically designed for editors that need to work quickly and on tight deadlines. The new DaVinci Neural Engine uses machine learning to enable powerful new features such as facial recognition, speed warp and more. Adjustment clips let you apply effects and grades to clips on the timeline below, quick export can be used to upload projects to YouTube and Vimeo from anywhere in the application, and new GPU accelerated scopes provide more technical monitoring options than before. Plus, Fusion is dramatically faster and Fairlight adds immersive 3D audio. DaVinci Resolve 16 is a massive release with hundreds of features customers have asked for. Designed specifically for editors working on high end fast turn around work such as television commercials and even news cutting, the cut page is all about speed. It’s an alternate edit page with a streamlined interface and revolutionary new tools that will help you work faster than ever. The cut page lets you import, edit, trim, add transitions, titles, automatically match colour, mix audio and more. Whether you’re delivering for broadcast or for YouTube, the cut page has everything you need to get the job done, all in one place. Plus, the regular edit page is still available so you can switch between edit and cut pages to change editing style right in the middle of a job. The new trim interface in the viewer lets you see both sides of an edit and trim in frame accurate detail so you can create the perfect cut. Built in tools for picture in picture effects, retiming, stabilization, dynamic zoom, text, audio and more, all in one place. Instantly render, upload and share your project to popular online services such as YouTube and Vimeo. The interface is scalable and works well on smaller laptop screens, giving you the highest amount of usable space. Now you can create timelines with different frame rates, resolutions, monitoring and output settings in the same project. Apply blend modes, transformations, ResolveFX, colour grades and more on top of a stack of clips in the timeline. Encode only the frames that have changed instead of re-encoding entire files for dramatically faster rendering when delivering. With over 250 built in tools, Fusion VFX’s advanced 3D compositing engine and node based workflow let you quickly connect effects and tools together in a flow chart style, making it easy to create cinematic feature film quality visual effects and broadcast motion graphics right inside of DaVinci Resolve. Time effects, dissolves, stereo, vector motion, pinning, colour and more. DaVinci Resolve’s legendary colour tools let you manipulate colour in breathtaking ways to get results that are simply impossible on other systems. That’s why DaVinci Resolve has been used on more feature films and television shows than any other grading system. You get powerful primary and secondary tools, curves, tracking, stabilization and more. GPU accelerated scopes show more detail, have faster performance, and add dozens of new options for advanced technical monitoring. The auto colour balance and auto shot match tools now use the DaVinci Neural Engine to process images for more accurate results. Copy the colour grade, windows, tracking and plug in effects from one node, and paste only the attributes you want on to another node. Gang the Colour page viewer with the SDI or HDMI video output so zoomed images appear on both the user interface and your video output device. Independently view R, G, or B channels in the viewer to help evaluate images for noise, artifacts, or when manually colour matching. With Fairlight in DaVinci Resolve, audio is no longer an afterthought in post production. You get a completely integrated and powerful digital audio workstation with full mixer, EQ and dynamics processing, sample level audio editing, ADR tools, sound library support, FairlightFX audio plugins and more. Stretch audio to align the waveforms of one clip with another for ADR or retiming to picture effects, all without changing pitch. Featuring a universal timeline, powerful database driven design, bin and clip locking, built in chat, timeline comparison tools and more, DaVinci Resolve Studio is the world’s only post production solution that lets different artists all work together on the same project at the same time. The world’s fastest and most advanced professional editor. DaVinci Resolve has been used on more feature films and television shows than any other grading system. You get the industry’s most powerful primary and secondary correction tools, advanced curve editor, tracking and stabilization, noise reduction and grain tools, Resolve FX and more. Work in wide latitude and wide colour formats such as Dolby Vision, Hybrid Log Gamma, and more.